Hi! 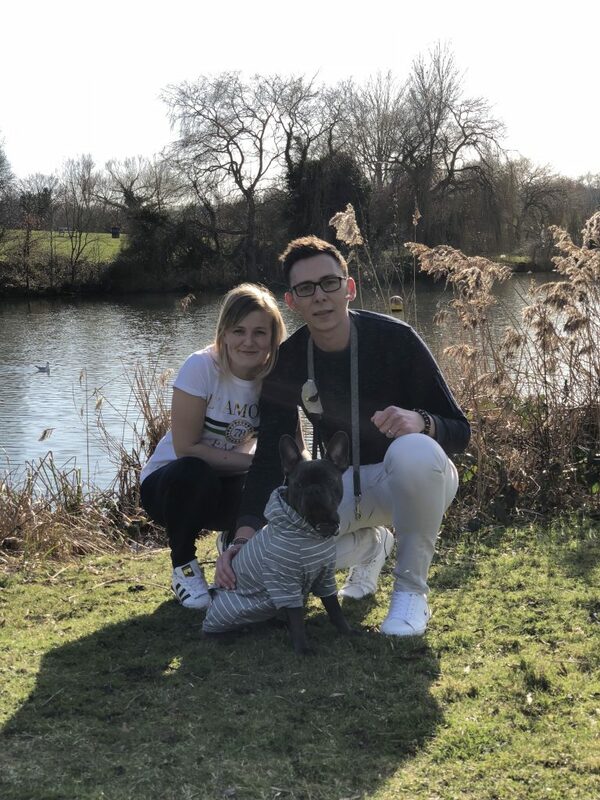 We are husband and wife team Ashton and Jonathan plus our two little Frenchies Yianni and Yoko. Jonathan comes from a background of international distribution for luxury products and Ashton is an expert in customer experience. We wanted to create a place where you could not only find the best quality products for your dog but also enjoy the best experience at the same time. We are head over heels in love with our dogs and they are part of our journey no matter what we are doing. Aside from the weekly walks, we travel to different places every weekend to adventure and explore with the dogs. 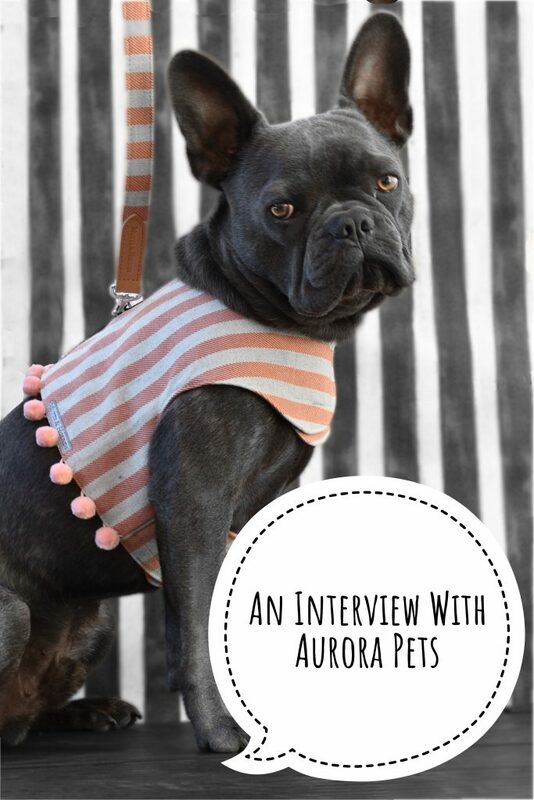 What was the inspiration behind your designer dog shop, Aurora Pets? Yianni and Yoko were our entire inspiration for Aurora Pets. When we first got Yianni we had a lot of difficulties finding quality products that were not made with cheap materials or looked tacky. We ended up shipping products from all over the world which is when the inspiration for our business occurred, with both of our experiences combined we launched Aurora Pets. Yianni and Yoko of course are our chief testers for all products which we road test fully to ensure our customers get the best. Only the most luxury and premium dog brands are featured on your site from dog fashions to luxury dog treats. I really love the unique Modern Beast vintage t-shirts for dogs! Which brands and/or dog products are proving most popular with dog owners so far? Thank you, Modern Beast are awesome and we love their ethical values, one of the many reasons we stock them at Aurora Pets. Generally, our customers love our entire collection of brands and products, each brand has its own unique quality and values which makes them loved by many and us. 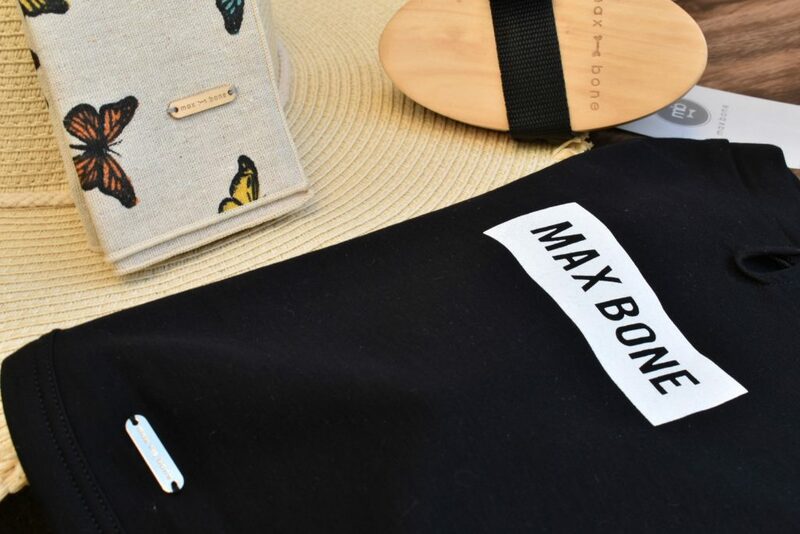 From Cloud7 and their extremely clean and stylish approach to design, or Max-Bone and Mister Woof with their playful designs with prints and fabrics. Most important to us and our customers we think is the product being functional, that it will survive 100 washes in the washing machine or that they work out on walks or at home. This is always at the forefront of our mind before anything else. As a company, you strive to ensure that all your packaging does not contain plastic & is 100 % recyclable.Your company also strive to collaborate with brands who are contributing to improving lives of unfortunate dogs. Such a worthwhile cause – have you got a particular animal charity that you support? We work with many different charities selecting different companies to receive donations of beautiful joes and products from our collections. We worked quite closely with the Last Chance Animal Rescue Shelter to document their charity and meet the dogs at their rescue, it was incredibly sad to see all the dogs in the rescue but also reassuring to know they at least have somewhere they are being cared for and loved whilst they wait for their forever home. As you are based in the UK, are your products available to purchase worldwide? Being passionate dog owners yourself, you also write blogposts on your website which are of interest to other dog owners. What themed posts create the most interest? We see a lot of interest in our dog walk blogs, we try to make it a little different using a drone to document the landscape whilst walking, currently, we are documenting the UK, we hope to cover other parts of the world to find the absolute best places to adventure with your dogs. Yianni and Yoko’s second love is being outside exploring, their first love is and always will be food. Going on long dog walks is one of your favourite things to do…. where are your favourite places to go dog walking? Jonathan: The Devil’s Punch Bowl in Hindhead was absolutely incredible for me, it had so many different aspects for a good dog walk, great vista’s, forest, marsh areas and a little stream for the dogs to play in. We were exploring there for more than 4 hours and loved every minute of it. Ashton: Epping Forest because it’s such a vast area to explore, you can visit 10 times and each time walk can be different, it is also extremely quiet and peaceful with dog-friendly restaurants to visit once the walk is done to relax in. 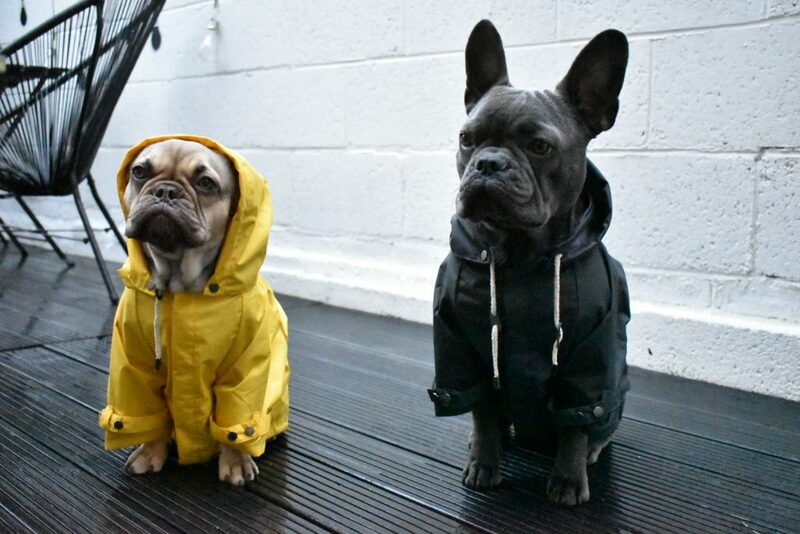 Obviously your products have been tested by your adorable dogs, Yianni and Yoko. Have you ever come across a product that for some reason they took an instant dislike to it? We have to say balls, Yianni and Yoko are not huge fans of chasing or returning a ball, unless it has treats in it, Yianni is a heavy chewer and destroys most toys we give him within minutes, the rope toys are great for him to sit and chew on as they also clean his teeth while he is chewing. Yoko wants anything Yianni has got despite her always having one for herself she will ignore it and wait for Yianni to finish with his. Both of our looks can vary day to day, classy street style would be a good way to describe our daily looks as we have to fit in working plus the chance of getting muddy whilst out walking the dogs. when we are going out for events or a night out, we both like to look smart. Ashton: Boots – comfortable, versatile and they look great with most outfits. Thank you Ashton and Jonathan. I’m so glad that Epping Forest is one of your favourite places to visit when dog walking. I grew up in East London and I had Epping Forest on my doorstep. I spent many happy summer holidays climbing trees, getting lost, nature spotting, having picnics in Epping Forest. It certainly is a special place. In the past I have interviewed and been wowed by many jewellery designers – from pearls to silicone; silver to diamonds – we’ve read them all! This week though we are talking about our lovable pooches and their jewellery needs – yes, that’s right – jewellery for dogs! 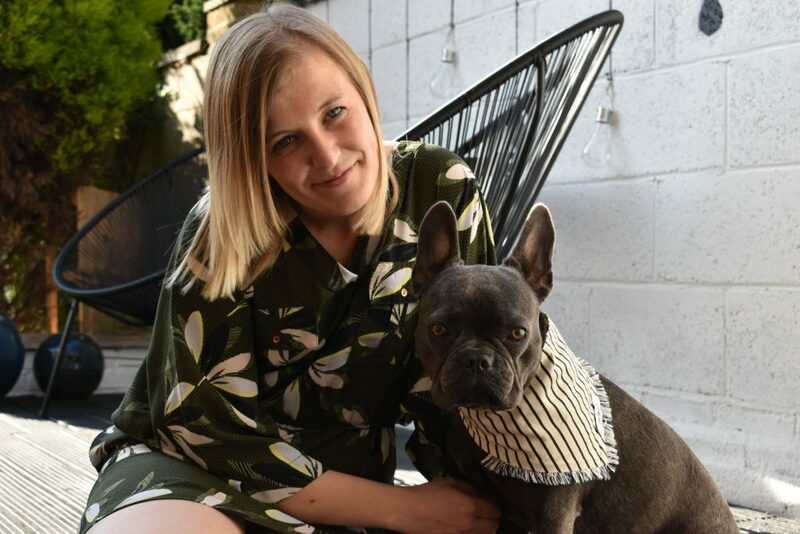 My guest, Sarah Eyton is a designer and creative director of “Canine Chic of London” specialising in pug pendants – luxurious and stylish identity pendants for dogs (and their owners). 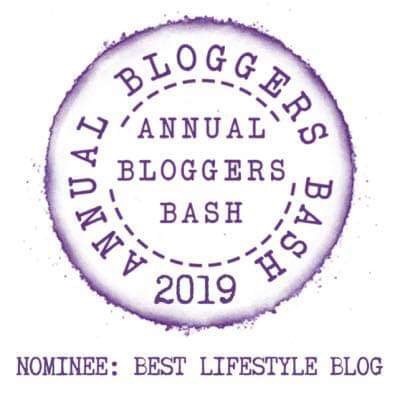 I caught up with Sarah to find out more…. hi Sarah! Hi! My name is Sarah Eyton (pronounced Eye Ton). I am a jewellery and fashion accessories designer from London. What was the inspiration behind your choice to make pug pendants? The idea came to me about a year ago, due to clients requests and realising a gap in the market. Within my profession as a jewellery designer, I had often been asked if I could work to varying types of commission. Several customers were asking if I could design and make personalised identity discs for their dogs’ collars. They were asking because they had searched everywhere for beautiful and stylish ID discs to adorn their loved ones’ necks but the search for them had not been fruitful. They’d looked and they couldn’t find anything that came close to what they were searching for – unique designer pendants that complimented or expressed their sartorial aspirations for their four legged friends. Equally important, they often wanted matching ones to wear themselves. They are called PugPendants because my first client was a Pug owner – the name just seemed sweet and appropriate. Your pug pendants have been promoted by UK based celebrity dogs, including Marcel LeCorgi, Miss Marple, Monty the Frenchie & Coco the Frenchie. I’m fascinated by the Zodiac discs! To date, what has been your most popular pug pendant style? Yes, I’m very fortunate to have attracted the support from some of the most famous dogs in the U.K! So far the most popular PugPendants are the individual star sign discs – most people know their Dog’s birthday and many owners are getting their own specific zodiac pendant to match. They make a lovely gift, as they come with a little printed scroll depicting the Personality traits of that particular Star sign. Each piece is so lovely and unique – available in 24K yellow or rose gold plate with a crystal colour choice – where do you find inspiration from for the range of dog tag designs? I am inspired by sacred geometry. The ‘Oracle’ and ‘Starburst’ PugPendant designs are both derived from this. Then I have fun with the colours of the crystals. Swarovski have such an amazing colour range. As you are based in London, are your pieces available to purchase worldwide? All PugPendants are shipped worldwide which is included in the purchase price. Do you own a dog (or any other pet)? I have a lovely cat called Eden! 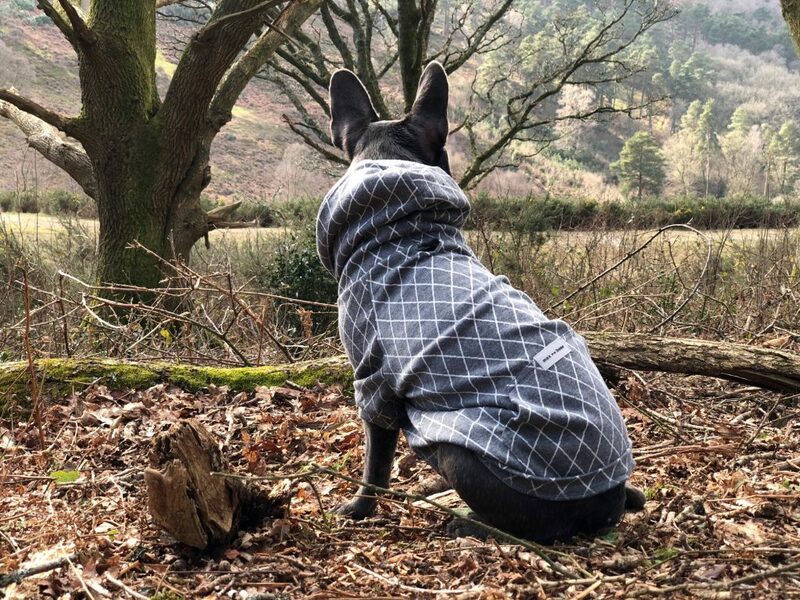 It may seem strange to design for dogs when I don’t have one but the truth is if I had my own – he would have been my model and my Muse, so I would never have met all these wonderful dogs and their Humans. They guide me a lot in the creative process by identifying what (in an ideal world) they would want for their furry friends and I can remain (slightly) objective. You are also a “human” jewellery designer. Have you always been interested in jewellery or did you hope to follow a different career path whilst growing up? I was a Professional Actress from the age of 14 till 26. I thought that I would always do that, however in my mid twenties, my circumstances changed. I decided to do a Art foundation, which led to a BA Hons in 3 dimensional design and silversmithing at Brighton University. I consider myself fortunate to have been very involved in many aspects of design, from interiors to furniture and homewares. 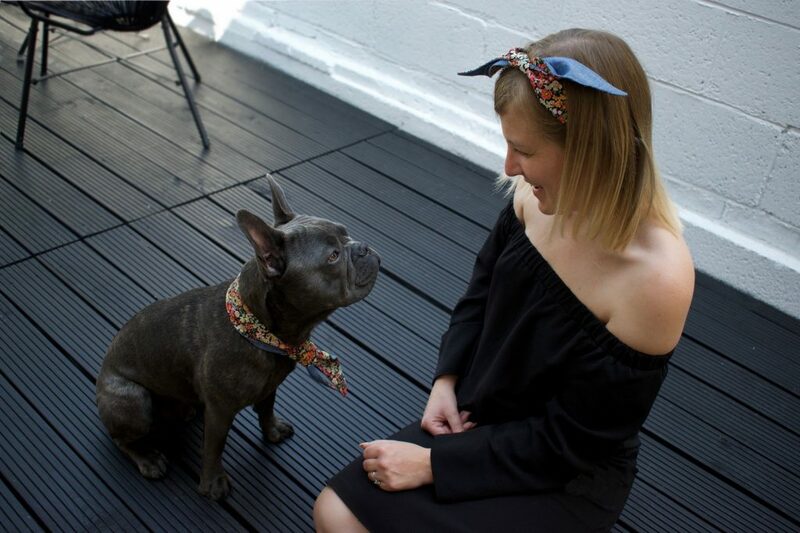 However, the last 8 years have been focussed on designing jewellery and fashion accessories, including handbags – and now dog apparel! Your jewellery collection features a lot of Perspex bangles as well as other materials such as aluminium, precious metals, silver & gold. Why do you enjoy using Perspex, over other materials? I love Perspex! The colours and its versatility. When I first started there wasn’t many fashion people designing with it and laser engraving was in its infancy. I felt like a pioneer and wanted to explore this arena. I wanted to change the impression people had of plastics being seen as landfill – obviously some is and that is a real problem! However, branded Perspex is about 3 x the price of glass, so I consider it a luxury material and treat it as such. As they are handmade, none of my pieces are mass produced. Are there other canine chic pieces in the pipeline for the future? So many ideas, so little time! I have a whole new range of products for dogs (and occasionally their humans) in production, mainly to be released in time for Christmas and next year. I love heels but they have to be comfortable. I’m better with quite tailored clothes and have to look fairly smart for meetings etc but am more casual at home. I pick up most pieces in the High Street stores like TopShop and Zara etc but occasionally get a versatile designer piece to dress things up. I really need some smart winter day boots to walk around town in. I like ankle boots to wear with jeans etc and higher boots with skirts. Links you would like to share e.g. website/facebook etc so that readers can find out more about Canine Chic and your own jewellery collection. Thank you Sarah! I’m fascinated by the zodiac pendants for dogs! I wonder if pets exhibit the same characteristics as humans born under the same star sign?! I don’t have dogs but I do have 2 cats who were both born at the end of July, making them Leos. You certainly know they are there, they enjoy being made a fuss of and they love being brushed …. hmm.. just like my Leo born husband and son! What star sign are your pets? Do they show any characteristics usually linked with that star sign? Do share your opinions, I’d love to know! All photographs published with kind permission from Sarah Eyton/ Canine Chic of London.